What's that saying? "If travel was free you'd never see me again." Last summer you saw Graham and I travel to Portugal and I thought it was about time I posted some (candy coated) snapshots from our trip to the Isle of Wight which occurred a few months later. We've frequented the island a few times now and always stay in Shanklin, a picturesque little place with lots of adorable shops, pubs, cafes, amusements and the promise of sandy beaches close by. We like a chilled out peaceful place when vacationing (we prefer countryside breaks and beach escapes to city life) so the IOW is ideal for us. 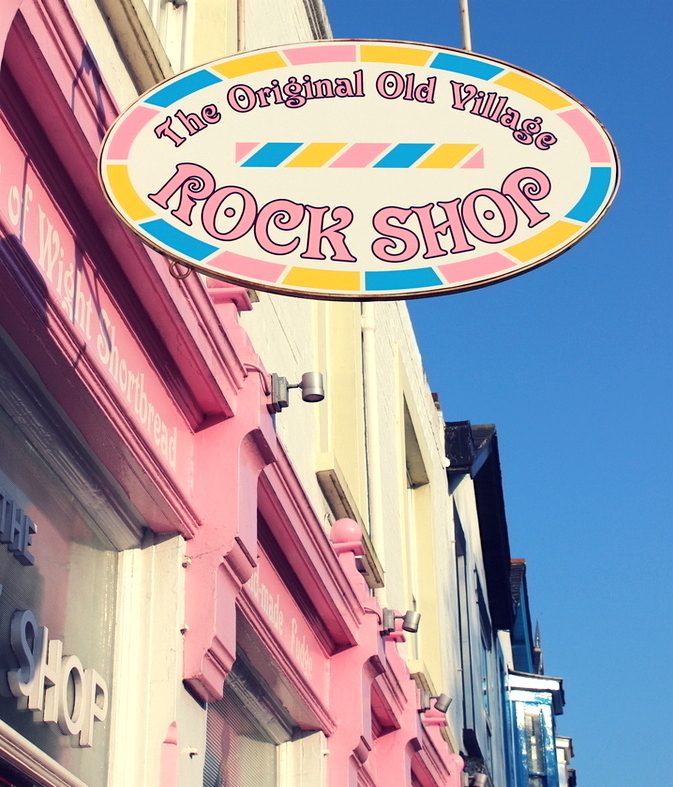 Not gonna lie to ya, the candy coated colours in Shanklin make for a pastel pretty backdrop, and what blogger in their right mind doesn't want that when strolling along on vacay? THAT SWEETSHOP THO. I honestly fell in love. The perfect pink punchy hue, the beaut balloons. God, my heart. 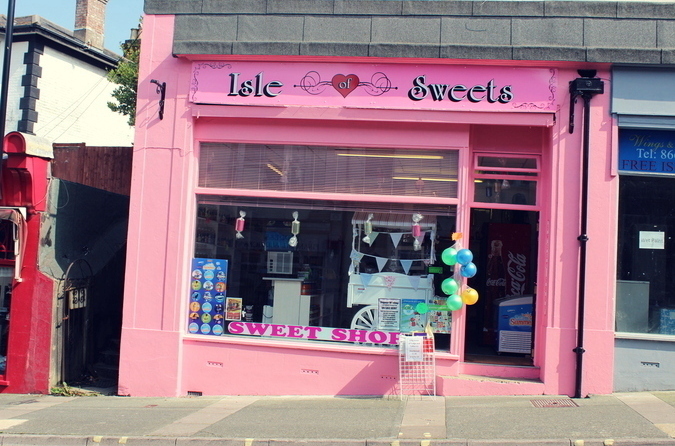 Isle of Sweets? Isle of Paradise I say. We indulged in a slab of angel cake with cups of tea and hot chocolate at The Strawberry Thatch, a cutesy tea room brimming over with flowers surrounding their outdoor seats. We loved it so much that we ventured there several more times before we left the island. Armed with our reading material (Graham with his Marvel comics, me with my Adele Parks novel), we sat down and whiled away several hours in the sunshine. 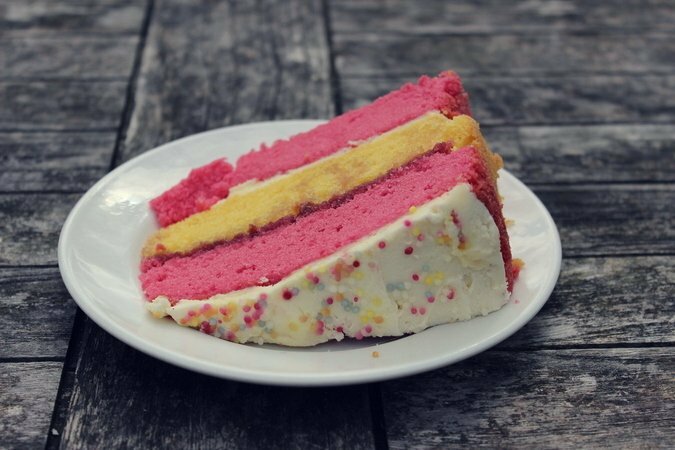 I've been trying to hunt down an angel cake slice that's as good as this ever since, but alas. One of the lovely things about Shanklin is that the shops often stay open a little later during the summer. After an evening game of mini golf or a majestic walk along The Chine, gift shops like Pencil Cottage are great to browse in. Pencil Cottage also had a tea room and gardens but we ran out of time to try out their range of tea and cakes. Because we are the cake connoisseurs to end all cake connoisseurs. What do you make of Shanklin? Oh my goodness Sophie, this place looks adorable! I've never been but would love to take my little girl. All the pretty pinks and pastels are perfect. Sounds like you had a brilliant time, and your photos are beautiful. Oh wow, Shanklin looks stunning! That thatched roof though! 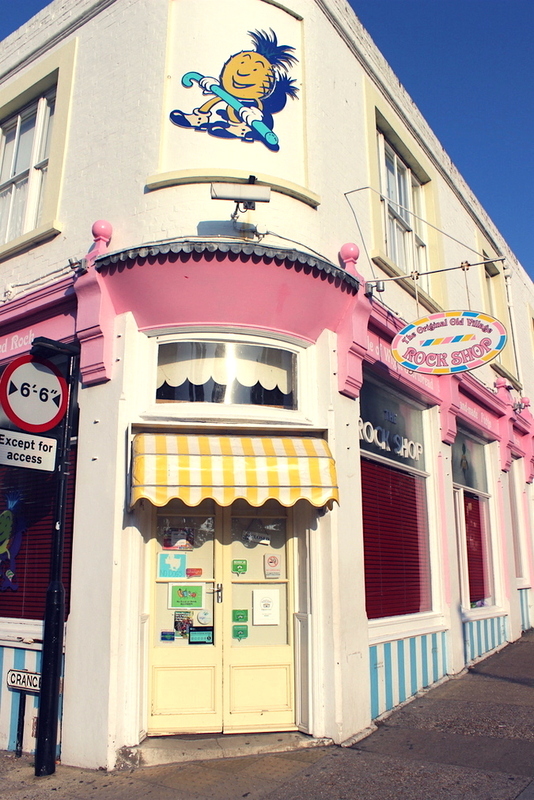 Also, how delicious does that angel cake look, I really want to go to Shanklin now. Such a fantastic place! These pastel buildings look so cute! This place is so pink! I'm digging it! Haha! That cake is so cute and now I'm craving cake ahaha. The pink tea shop is adorable. 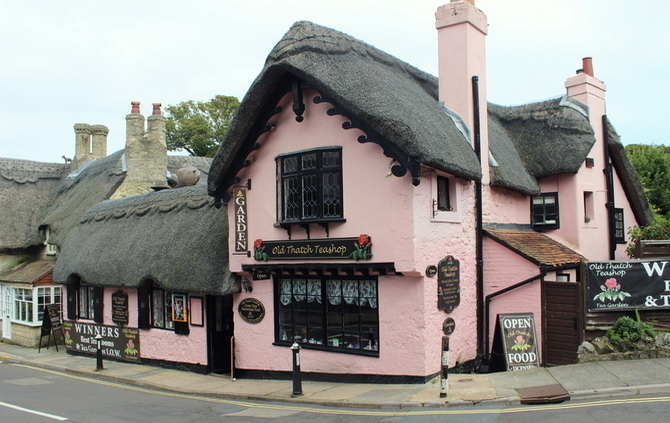 The Old Thatch Teashop is quite possibly THE cutest thing I'm going to see all week - the perfect spot for a home-cooked meal, by the sound of it :) I love your attachment to the colour pink Sophie, always love reading/seeing your posts!! For me even just seeing thatched roofs would be a sight in itself, as far as I know we have nothing like that in Aus. This place looks so damn picturesque, like a little town out of a fairytale book or something. That Angel cake looks bloody amazing as well! Everything is so deliciously sweet looking! 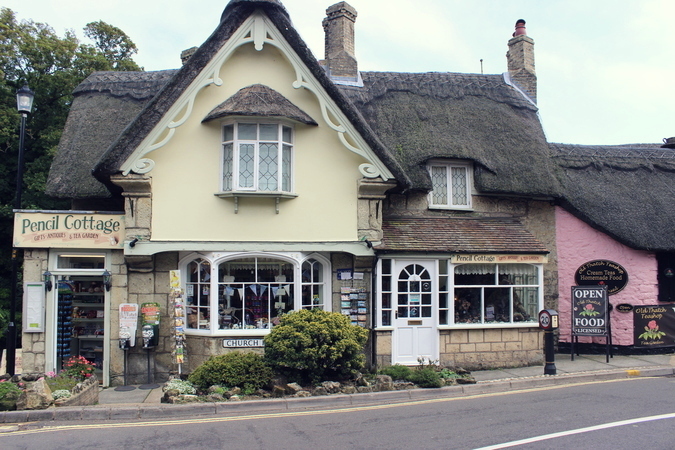 Those cottages are the cutest shops I've even seen. This place looks magical! Such a perfect vacay getaway, babe!! I was lucky enough to have a few holidays there when I was a small child in flares (70's) I wish I had seen this side of the IOW rather than the more scary dinosaurs in Blackgang Chine!